Is your pipeline of real estate leads dependent on what season it is and the and financial climate of the area you’re selling in? As a realtor, something as simple as rising mortgage rates at the bank can knock your pipeline of leads out of whack. 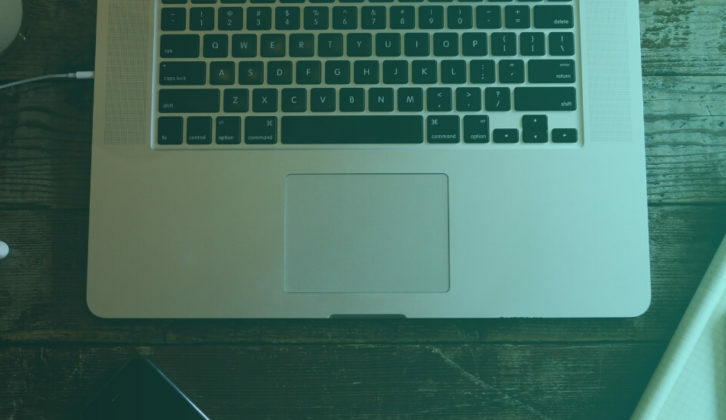 While the weather outside or the status of the economy may be out of your control, there are other things you can do to maintain your leads pipeline—and have it overflowing even—to keep those commission checks rolling in. 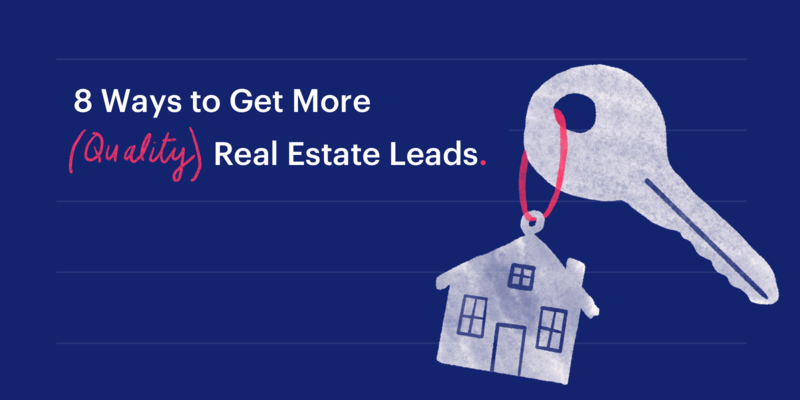 This article will show you not just how to get a truckload of real estate leads, but how to get good leads that are actually likely to turn into a sale. Host an educational event where you talk about the latest trends in the real estate industry loaded with useful information and tips for new or prospective home buyers. This will help build your personal brand as a realtor, position your brand as credible, and raise awareness for your services. Not sure where to host it? Consider reaching out to a newly opened local restaurant that has a lot of hype around it and asking if they’d like to partner with you. This could be a mutually beneficial event that raises awareness for both yourself and the new business. During your event, set up some time for Q&A and general mingling with your attendees. This will give you a chance to build rapport with your most interested attendees (who will also likely to be your most-qualified leads). You could also have a draw at your event—something along the lines of attendees exchanging their contact details for a chance to win a $100 gift card to the restaurant. Personalize the entry ballots to ask for the attendee’s name, email address, and the type of real estate properties that interest them. After the event, input the information from the ballots into your CRM and reach out to them individually. 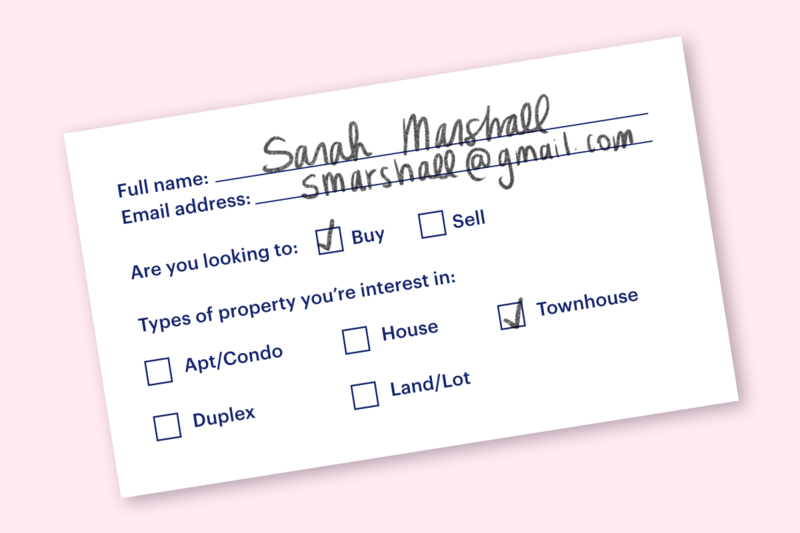 Because you asked what type of properties they’re considering, you can personalize each email by adding some potential listings they might be interested in. If the client was someone who spoke with you personally, be sure to mention that in your email along with something you chatted about. Put some effort into these emails and make opening them worthwhile for your recipients. Just like that, you’ve started building relationships with a whole bunch of high-quality leads. Open houses are literally a building full of leads waiting to be picked up. Sure, some people may be there with their realtors, but a whole lot of them will be realtor-less. Now’s your shot to swoop in there and grab some new clients. People who attend open houses are usually there because they’re interested in getting a new home. Introduce yourself and offer to help them do just that. Exchange contact details and bam, you’ve got yourself some new quality leads. 3. Use the power of social. Join groups on LinkedIn and Facebook that your target audience would be in. You can find groups to join by searching for keywords like “first time home buyer” or “buy and sell homes”. Once you find suitable groups to join, start contributing to them by sharing relevant content such as new listings that meet the group’s criteria or articles about upcoming regulation changes for home buyers. Position yourself as an expert in your field and be sure to answer any comments or questions visitors may leave under your posts. 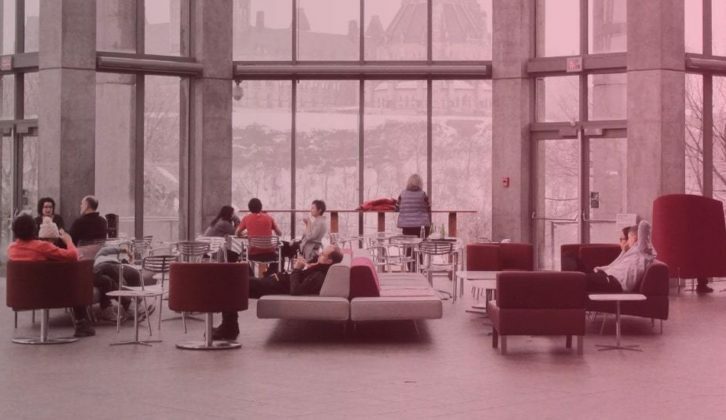 Skim through these groups to find the most active or seemingly-interested group members and reach out to them offering to discuss what they’re looking for in more detail, and let them know you’d be happy to assist them in their search. Instagram is a great opportunity to give your clients a different perspective into both the industry and you. To differentiate yourself from other realtors out there (and there are lots), you have to humanize your brand. Yes, you’re a realtor, but how can you connect your skills and knowledge to your clients in a professional but friendly way? If your face isn’t on a bus bench, are you even a realtor? In all seriousness though, there are many other forms of marketing for realtors that have proven effective in generating real estate leads. According to the National Association of Realtors, 51% of buyers found the home they purchased on the internet. So, it’s safe to say investing in some paid online advertising is a good place to start. Ideally, you’ll have a website set up for your online ads to point to. More on that next. Your website is the headquarters of your online presence. Whether you’re an independent realtor or working under a brokerage, establishing your personal brand is important when it comes to generating leads. Why should clients choose to work with you? Your websites should answer that question. After all, the majority of real estate clients choose which individual they want to work with, not which brokerage. 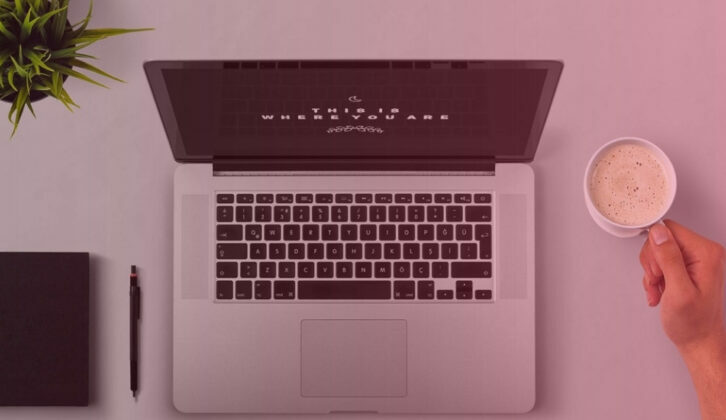 It’s super valuable to have a website and all these things in one place so that even if you were to switch brokerages, your personal brand as a realtor won’t be impacted. 6. Become a Zillow Premier Agent. Zillow is an online marketplace of home and real estate listings. Becoming a Zillow Premier Agent means signing up to allow them to advertise you and send all interested leads your way. First, you build an agent profile on Zillow’s website. From there, you can upload your own listings and have the benefit of being the only realtor advertised on them, which isn’t the case for non-Premier Agents. Your profile will also be advertised on other real estate listings that aren’t your own, but are in your specified zip code—meaning you can potentially gain buyer leads even without listing anything yourself. For example, looking at the image below, Premier Agent “Joanna Jimenez & Team” is likely to be the selected agent that this 20-million-dollar-budget lead chooses to contact, even though “Dora Pulg” (not a Premier Agent), was the one who listed it. Definitely do your research before jumping into this one. While the ROI can be great, there are different factors to consider that can affect your success with this route. Fit Small Business has some great pointers to get you started. This is a tip that tends to fly under the radar. Keep an eye out for expired or near-expiring listings on websites like MLS and Craigslist, particularly “For Sale by Owner” listings. Reach out to these people and offer your services. In an email, introduce yourself and include a few tips on how they may be able to increase the chances of their home selling next time as well as the perks of working with a professional realtor like yourself. Let them know you’d like to set up some time to chat and work together to help ensure the next time they list their home, it gets sold. This is good practice for both lead generation and retention. In the case of lead generation, sometimes, you might not hear back from people right away. Instead of giving up, send them a follow-up email. If you had a lead that you showed a few properties who suddenly decided it’s not the right time to buy, that’s okay. Buying a home is a big decision and getting cold feet is understandable. Continue to send them occasional listings that may interest them so that when they’re ready to buy, they know who to talk to. When it comes to your existing clients, like people who’ve bought homes with you in the past or are in the process of doing so now, strengthen your relationship by sending them handwritten cards on holidays. Remind them you’re always there to answer any questions they may have about real estate. Even if they’re personally not looking to move any time soon, they may refer their friends or family members who are to you. It’s time to turn those leads into sales. Once you’ve got their interest, you should nurture your leads. Focus on building relationships with them and once they’re ready to buy or sell, you’ll be the one they call. Want to learn more about nurturing leads?